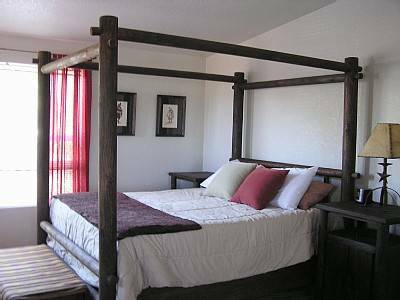 Nestled in the country, away from the noise of the city, is El Magnolio Bed and Breakfast in Pirque. The colonial style house sits a mile away from Viña Concha y Toro and features five confortable bedrooms plenty of comfortable charmand, wonderful sights and sounds of the Chlean country surrounded by the Andes Mountains.. The beds are comfortable with top quality linens, the shower hot, fluffy and absorbent towels, the breakfasts are fresh, with fresh bread and pastries alongside a selection of home made jams as well as cereals and fresh fruit making a great start of our days. The town of Pirque is in the wine country, 45 minutes away from the city.